proven his worth,he is one of the richest celebrity in Nigeria and Africa,in 2017 he made it to the top 10 Forbes list of the richest celebrity from Africa. with pictures to back it up. Davido has certainly worked really hard for his fame and money not minding the fact that he is from a wealthy home,his father is a billionaire businessman. According to sources,Davido has a house that is located in Atlanta, Georgia in the United States of America. He also has a house in Lekki area of Lagos,according to sources online,his house costs him about ₦140 Million Naira to build. The house is a semi detached four bedroom duplex,with a properly furnished interior. See Also: Davido Vs Wizkid,Who Is Richer? Q: List Of All Davido's Cars & Net Worth? 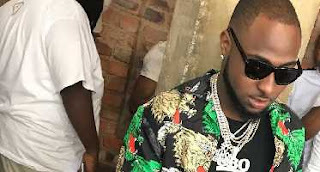 Davido’s certainly has a thing for cars,over the years,he has bought different types of foreign cars,in fact he splashes his millions on solid automobiles. 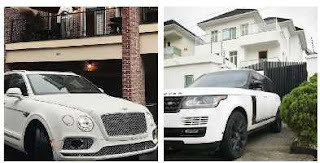 Listed below is the full list of all Davido's Cars and their estimated net worth.